You will probably know from my previous posts that I suffer from very dry skin and eczema, and because of this I have very sensitive skin and I do have to be very careful with which products I use. I first heard about My Trusty Little Sunflower moisturising cream last year on the BBC One show, as it was describe for sensitive skin and it intrigued me then, and I liked the background story of My Trusty Little Sunflower cream - with it being created by the NHS in Salisbury for it's patients. So when I was offered to review it, of course I said yes please. My Trusty is based on an original formula developed within the NHS and 100% of profits generated from the sales of this product are re-invested into patient care. The cream’s RRP is £6.99 or if you sign up to the subscription service, they send you a tube each month for the reduced price of £6.29 per month, which can be cancelled at anytime. 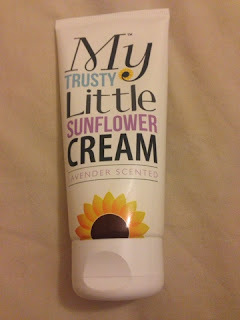 For this review I opted for the lavender scented option, this is because I like the smell of lavender, and mainly due to its natural healing, soothing & restoring qualities. The My Trusty is also available in the original unscented option, and both are available in two sizes, 100ml tube or 250ml dispenser. Sunflower oil contains abundant amounts of an essential fatty acid called Linoleic Acid which may have a beneficial effect on the functioning of the skin. I have been using My Trusty as a night cream on my face, and it has been working quite nicely, i.e. I have not had any flare ups on my very sensitive skin and it has been very moisturising. 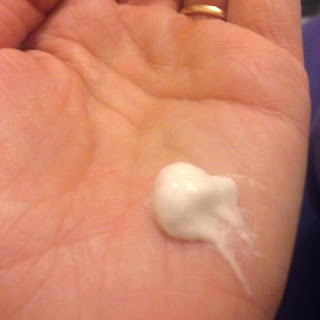 It is a non greasy cream that sinks quickly into the skin, and I find it very nourishing overall. In addition you can use it on any part of your body, not just for the face, as I have also been using it on my arms and hands which is just as moisturising. For the low price of £6.99 this multi-use moisturising cream is excellent value for money and the fact that all profits go straight back into the NHS, is an extra benefit also. I would highly recommend this to anyone. Disclaimer: I was sent a tube of this product for the purpose of this review. All opinions are honest and my own.